We’re sure you’ve heard the term OAB tossed around out there – after all, an estimated 33 Americans deal with the condition and there are countless remedies and medications for it available on the market. But what exactly is it? Simply put, OAB, or Overactive Bladder, is a sudden, frequent urge to urinate immediately. It often comes with little warning and usually leaves a person rushing to the restroom in order to make it on time. So, why does this happen? In people with OAB, the bladder muscles contract more frequently than normal, sending a signal to the brain that it’s time to urinate. These contractions may be happening for a number of reasons; side effects from medications, urinary tract infections, pregnancy, neurological diseases like MS or Parkinson’s, problems with the prostate in men, or nerve damage from surgery or injury all can contribute to OAB. Do you feel like you’re using the restroom all the time? Most people don’t use the restroom more than 8 times during the day. If you find yourself going more frequently, and if those trips result in no more than a few drops of urine, you may have OAB. Do you feel sudden urges to go with little or no warning? That feeling that you have to go right now is one of the most common symptoms of OAB. Do you wake up more than twice a night to use the restroom? 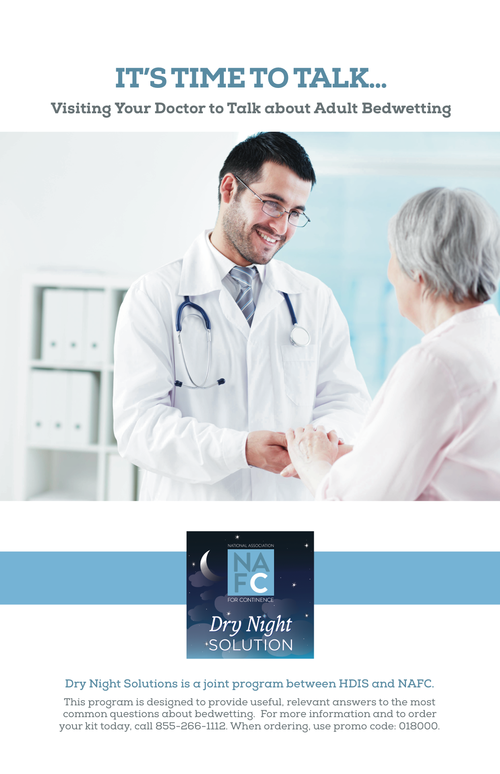 If so, you may be suffering from nocturia – the need to frequently urinate at night, and a common symptom of OAB. Do you worry about having accidents? If these rushed trips to the bathroom result in a bit (or a lot) of leakage, it’s likely OAB. Urge Incontinence is very common with OAB, and is when the urgent need to go results in leaked urine. Do you try to map out the nearest restroom at social situations? Do you avoid doing things you once loved for fear of finding yourself in an embarrassing situation? If you’re adjusting your lifestyle around the potential for accidents, you may have OAB. Luckily, there are several remedies for OAB ranging from physical exercise to medications, and even certain medical procedures. Use the NAFC OAB Treatment Tracker to learn about which treatment options might work well for you and then talk to your doctor about your condition so that he or she can find one that works best for you.